According to a press release from the U.S. Department of Justice (DOJ), former tax preparer Leticia Rodriguez, previous owner and operator of tax preparation business Rodriguez Tax Services, was banned “from preparing federal tax returns for others and owning a preparation business” as of November 27, 2018. The injunction (court order) that prohibited Rodriguez from providing these services was entered by a federal court in Chicago, which is part of the Northern District of Illinois – the U.S. jurisdiction that had the highest number of tax offenders in 2017, according to tax crime statistics from the United States Sentencing Commission. In addition to ordering Rodriguez to stop professionally preparing income tax returns, the court also ordered her to repay the fees she obtained from clients: approximately $33,660. So how did Rodriguez obtain these fees, and why was she ordered to stop by the court? Unlike a tax deduction, which merely reduces the taxpayer’s taxable income, a tax credit directly reduces the taxpayer’s final tax liability. The federal government offers dozens of different tax credits, which the IRS divides into five broad categories: family and dependent credits (such as the Earned Income Tax Credit), income and savings credits (such as the Foreign Tax Credit), homeowner credits (such as the Nonbusiness Energy Property Credit), healthcare credits (such as the Health Coverage Tax Credit), and education credits (such as the Lifetime Learning Credit). As you can tell simply from reading their names, different tax credits necessarily affect different groups of taxpayers, and thus have different eligibility criteria. Problems arise when taxpayers – sometimes, with assistance from unscrupulous tax professionals – knowingly attempt to claim credits or deductions for which they are not qualified, reaping the financial benefits at cost to both the government and other taxpayers. A similar scenario played out repeatedly at Rodriguez Tax Services, where Rodriguez “fraudulently reported Child Care Expense claims on 187 of her clients’ tax returns.” Rodriguez was subsequently ordered to repay over $33,600, a figure which government records described as a “reasonable approximation” of the true amount Rodriguez obtained by providing these illegal tax preparation services. The press release does not make any specific statements regarding criminal charges in connection with this case, noting only, “In the past decade, the Tax Division [of the DOJ] has obtained injunctions against hundreds of unscrupulous tax preparers and tax scheme promoters.” However, as we have seen on previous occasions, tax professionals who commit fraud for a fee on behalf of their clients place themselves at high risk of criminal prosecution (in addition to professional sanctions, as the ban on Rodriguez exemplifies). Tax preparer fraud generally involves a violation of 26 U.S. Code § 7206(2), in regard to aiding or assisting another with a false return. The criminal penalty for this offense, which is a felony under federal law, includes a maximum prison sentence of three years, to be imposed in place of – or in addition to – a fine as large as $100,000 (or, for corporations, $500,000). Tax preparers be criminally charged for filing fraudulent returns on behalf of other taxpayers, as we have discussed in depth elsewhere. If you are concerned about potential liability for assisting a client with tax evasion – or if you improperly claimed credits or deductions on your own tax return – it is in your best interests to discuss the situation with a criminal tax defense attorney as soon as possible. 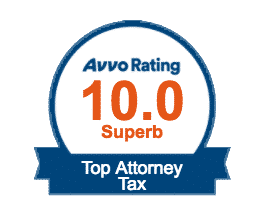 To schedule a reduced-rate consultation, contact the tax evasion defense lawyers at the Tax Law Office of David W. Klasing online, or call us today at (800) 681-1295.